What do Angola’s sovereign wealth fund, the cast of British TV show Mrs Brown’s Boys, and Yale University’s investment in India have in common? The Paradise Papers reveal that they are all connected with offshore secrecy jurisdiction Mauritius, with the assistance of offshore law firm Appleby. Appleby’s Mauritian office helped Swiss-Angolan financier, Jean-Claude Bastos de Morais, to incorporate companies in Mauritius and other secrecy jurisdictions to direct some of the public money from Angola’s sovereign wealth fund that he manages to investment projects in which he has a stake. Several cast members of Mrs Brown’s Boys avoided paying tax on their earnings in the UK and Ireland by loaning money to themselves through a series of trusts and cell companies set up in Mauritius. And Yale University sought Appleby’s services to invest USD 100 million in India via Mauritius without being subject to capital gains tax in either country. These are just some of the dubious practices unearthed from among the Paradise Papers – 13.4 million documents from Appleby and corporate services provider Estera, obtained by the German newspaper Süddeutsche Zeitung. The International Consortium of Investigative Journalists and 94 media partners have poured through over half a million records from Appleby’s Mauritian office to peel back more layers of ‘Africa’s offshore tax hub’, Mauritius. East of Madagascar lies the small island nation of Mauritius. Since the 1990s, foreigners can easily set up companies, often just with an address and no employees. Mauritius, the ‘Investment Gateway to Africa’, has entered double taxation agreements with many nations, arguing that this would encourage much sought-after foreign direct investment. It has entered, or is awaiting finalisation of agreements with more than half of the African continent. Countries enter double taxation agreements (DTAs) or tax treaties to prevent individuals or enterprises from being taxed on the same income twice. Yet these agreements are often not used as intended. The High Level Panel on Illicit Financial Flows, led by former South African President Thabo Mbeki, points out that tax treaties are exploited to shift profits and transactions to low- or no-tax jurisdictions, like Mauritius, reducing the ability of African countries to mobilise much needed revenue. The practice of treaty shopping has seen the incorporation of many companies in Mauritius, even though economic activity takes place elsewhere. Mauritius denies it is a tax haven. And putting a figure on tax losses associated with financial secrecy is complex. Recent research suggests annual tax losses due to multinational corporate profit shifting could be US$500 billion or more. African governments are often unable to collect withholding and capital gains taxes as a result of treaties and financial secrecy. Martin Hearson explains this and other impacts of treaties in a study for Tax Justice Network Africa on Africa and DTAs. Tax treaties restrict the right of states to tax foreign investors and foreign-owned companies, yielding that right to the country where the investor or company is resident. Sometimes nationals may even pretend to be foreigners by incorporating say a Mauritius company to invest in their own country in order to obtain tax benefits available in the DTA meant to attract actual foreign direct investment (this practice is called “round-tripping”). To address tax revenue loss, countries require tax information from one another and particularly from secrecy jurisdictions. However, DTAs do not always provide an adequate basis for the exchange of tax information. If a country is interested in obtaining information from another one, it should sign a Tax Information Exchange Agreement (TIEA) or become a party to the Multilateral Tax Convention. Even if a treaty provides for the exchange of information, this doesn’t mean that the secrecy jurisdiction will actually have (or produce) any relevant information to be exchanged. If a secrecy jurisdiction offers bearer shares, has no beneficial ownership disclosure requirements, or ensures banking secrecy, relevant information will not exist. (TJN’s Financial Secrecy Index describes whether relevant banking and ownership information is available in each country). DTAs usually only allow for exchanges of information ‘upon request’. This is of limited use because authorities from the requesting country must already have enough information to make the request in the first place, and the request will only refer to a specific taxpayer, most likely to confirm pre-existing suspicions but not to obtain new data. DTAs prohibit ‘fishing expeditions’, i.e., asking whether any resident of country X has a bank account in, say, Mauritius. It is thus much better to ensure access to automatic exchange of information. However, in Africa, so far Mauritius will only engage in the automatic exchange of information with one country: South Africa. To put this in context, Mauritius has 13 agreements with countries in Africa (all DTAs – TIEAs were only signed with developed countries). African and other nations have made attempts to address the situation. Rwanda, South Africa, and India have renegotiated tax treaties with Mauritius. South Africa’s old tax treaty with Mauritius provided for zero tax on interest and royalties, but the new agreement provides for a 10% and 5% tax rate in the source country on the gross amount of the interest and royalties, respectively. Other countries should follow suit. In July 2017, Mauritius took a step to tackle tax avoidance by signing the OECD Multilateral Convention to Implement Tax Treaty Related Measures to Prevent Base Erosion and Profit Shifting (MLI). But as we wrote at the time, many African and South Asian countries and their important treaty relationships are not part of the MLI. These countries are left ‘vulnerable to companies using Mauritius to shift profits in an attempt to avoid tax’. In the wake of the Paradise Papers, Pravind Jugnauth, Prime Minister of Mauritius, said this week that ‘those who throw mud at Mauritius have an agenda’. Yet the revelations point not only to the risks to government revenues around the world, but also the dangers of enabling the incorporation of companies, largely in secret. We have put together information resources about the Paradise Papers and TJN’s response here. And we have written more about tax treaties here. 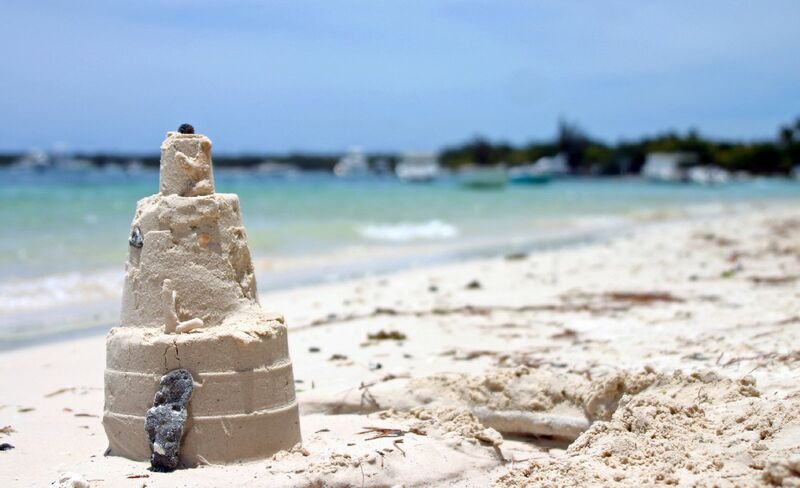 Photo credit – ‘A castle of sand in Mauritius‘ by matze_ott is licensed under CC BY 2.0.